My MIL bought me an apple peeler/corer/slicer and it is seriously the BEST invention ever made! This thing is awesome. Because of it, I make homemade crockpot applesauce just about every week. It's the easiest thing to make and the best part is, my girls request applesauce for dessert! Healthy and yummy. Okay, back to the chips. I was making applesauce and had 2 apples left over. I peeled, cored and sliced them and threw them in the oven to make this delicious snack. 2. 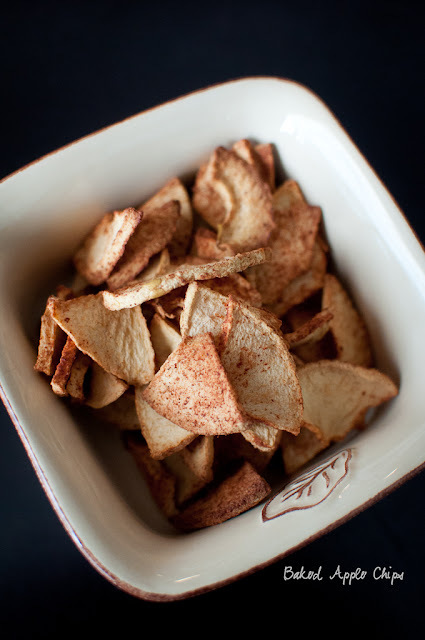 Peel, core and slice your apples and toss them in a bowl with your cinnamon. 3. Lay them out on a parchment lined baking sheet in a single layer. 5. Bake another 30-45 minutes. 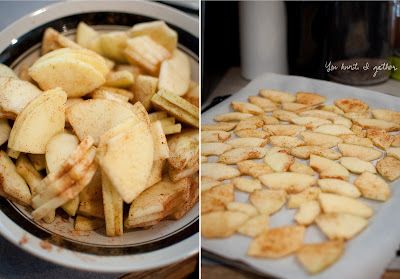 I baked mine for another 45 minutes since my apples were pretty juicy and I wanted the chips on the crunchier side. 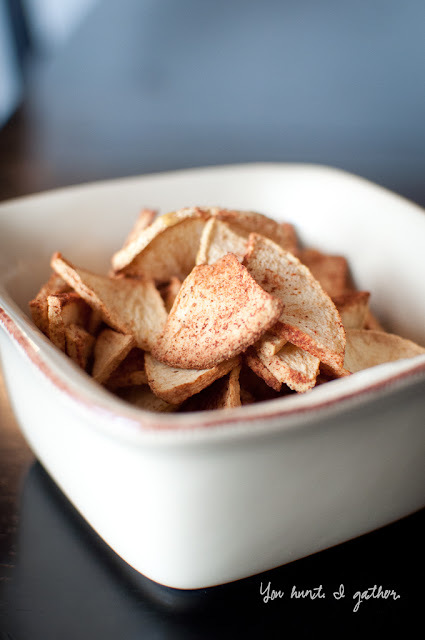 If you prefer chewy chips, remove them from the oven closer to the 30 minute mark. Can't wait to try these! They can be quite expensive at my health food store, so this would be a great savings!